Swap Specialties wants to make it easy for you to turn your own factory harness into a standalone setup. We make it super simple by giving you a fuse and relay box already wired up with labeled outputs that you just plug into your ECM connectors. Fast, simple, and it will be done right. All wires come with terminals already on them so all you do is follow the simple instructions by plugging 8 wires into your ECM connectors and your running standalone. 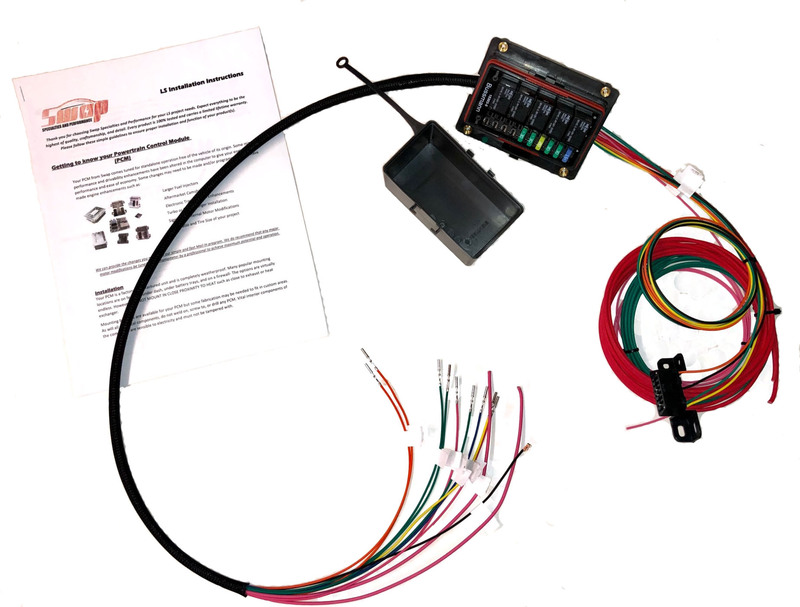 Includes Ignition relays, Fuel pump relay, Fan relays (2) and OBD2 port. Finally a clean hassle-free way to stay under budget and have a professional looking and performing standalone harness. Average install time is 20-30 minutes.